Aston Villa manager Gerard Houllier hailed Darren Bent's instant impact as the striker marked his debut with the winning goal against Manchester City. Bent, who joined Villa last week in a club record £24m deal, struck early to seal a 1-0 win that lifts Villa out of the Premier League relegation zone. "The finish was that of a natural-born finisher, something you cannot teach somebody. That is what he is here for." Bent notched the decisive goal in the 18th minute at Villa Park, pouncing on an error by City goalkeeper Joe Hart as the hosts gained revenge for a 4-0 defeat at Eastlands last month. 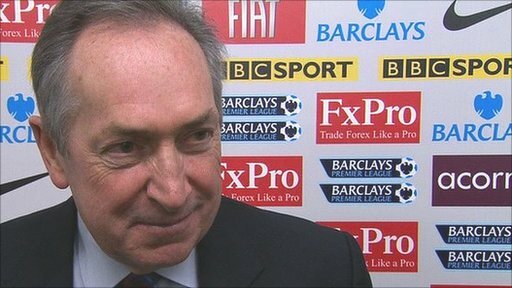 "That defeat really affected us and we were at rock bottom then," said Houllier. "But since the start of the new year things have got better and this game epitomised what we want to do. "We showed tremendous resolve against a very good side and also rode our luck at times." 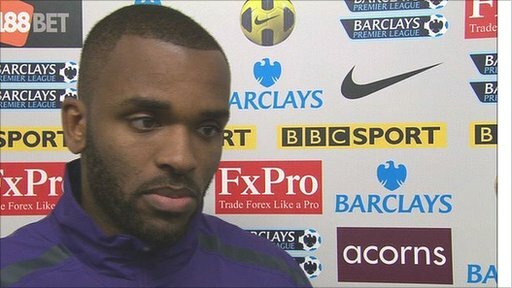 Bent, who also scored on his debuts for Charlton and Sunderland, defended his decision to make the switch from the Black Cats to Birmingham. "People questioned why I joined this football club but look at the players around me," said the striker, who was watched at Villa Park by England manager Fabio Capello. "Ashley Young, Gabby Agbonlahor, Mark Albrighton and Stewart Downing are all players that can create chances out of nothing and as a striker you want that kind of service."